Welcome, visitor! You can log in or create an account. 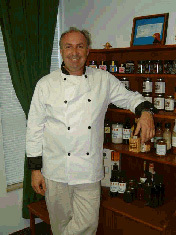 Chef Robert McMillan is a nationally renowned chef and saucier specializing in French and Italian cuisines, with extensive experience in residential and corporate catering, as well as a lengthy list of private label commissions. With over 20 years of experience in the food and hospitality industry, Chef Robert understands the value of creativity, craftsmanship, and personalized service. His commitment to innovation and his consistently high standards of quality are clear, whether he's designing product lines, consulting for private labels, or crafting new recipe ideas.